It’s no longer only banks and telecom providers, first responders, fleet managers, surveyors, and construction engineers who depend on cheap, accurate, and available PNT. Consumers expect their real-time traffic guidance, their kid-tracking, and their buddy-finding applications to work with the same reliability as their cell phones. As for those hundreds of thousands of geocachers out there — don’t get me started. But the furor masked a substantive concern. And the broad-spectrum reassurance from the Air Force and government agencies — entirely appropriate given the alarums of the moment — further obscured an underlying question of GPS adequacy. No, the sky is not falling and neither are satellites from middle earth orbit. Any deterioration in the admittedly aging constellation will be fairly graceful and largely predictable. The Air Force operational control segment ensures that. And, in all likelihood, new satellites will be available to plug most of the holes as they appear. 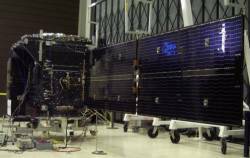 However, the House Appropriations Committee recently cut $97.4 million for the GPS III space segment from the Fiscal Year 2010 Department of Defense budget, citing delays in the contract for control segment modernization. Definitely a move in the wrong direction. Nonetheless, every other system has set 30 as its constellation goal — and the United States has effectively, though not explicitly, ratified that judgment by operating a 30-satellite system for years. However, the official requirement is stuck at 24 spacecraft with 95 percent availability. Now, 24 is fine and a more than sufficient number for users on the high seas, in the air, and across wide plains. PDOP looks great with visibility down to five-degree masking angles. But LBS customers and telematics providers have long known that urban canyons can make a mockery of PDOP or even positioning of any accuracy. More critical, as those in more dangerous situations sometimes discover, are the operating environments into which U.S. military forces find themselves: jungles yesterday, mountains today, who knows what tomorrow. It’s no accident that the GPS constellation has been optimized to provide more robust positioning over the Middle East and south Asia for some time. Air Force officials frequently point out that the system has delivered better-than-specified performance in positioning accuracy and signal availability. But we need to ask ourselves from time to time, in light of new and emerging applications and user expectations — not to mention the comparative levels being set by other GNSSs, whether the standard has been set too low and whether the bar needs to be raised. Indeed, this is exactly what happened recently with the revised performance specifications for the Standard Positioning Service and Precise Positioning Service — more accuracy but still a comfortable margin remains between the specified and actual performance of the system. Perhaps too comfortable. On-going technical issues with the most recently launched Block IIR-M satellite — SVN49 — and the still unlaunched Block IIF generation underline the fact that it may be prudent to aim high, to plan on over-shooting the mark in case a shot falls short. It’s time to re-evaluate the size of the constellation itself, even though anxiety over just being able to maintain the current requirement makes such a suggestion seem counterintuitive. Given the lumbering pace of the requirements-setting process, such an undertaking is already overdue.